Genotype2Phenotype prediction and analysis results for oil and protein traits using SNP-array datasets coming soon for private access. Download data option on Multiple Gene/Metabolite Search page added. Incorporation of analysis pipelines in IPlant for SoyKB users to submit analysis jobs using Pegasus Workflows. Incorporation of 700+ soybean reseqeuncing line SNP, Indels and GWAS analysis datasets in SoyKB. Module prediction tool incorporation for differential expressed gene lists coming soon. Gene co-expression profile and gene lists to become available. Gene/Sample conditions distance matrix calculation tool added. Expression data conditions similarity matrix coming soon. Jbrowse genome browser supported by Coge to view Rna-seq and methylation datasets added to SoyKB. New upgraded combined gene and metabolite pathway viewer available. RNA-seq data added for seed germination stages for private access. New Gene Model Glycine Max Wm82.a2.v1 along with mapping to the old gene models added into gene card page. Iplant username update/signup for SoyKB users implemented. Users with current Iplant accounts can add/verify their usernames and new users can sign-up for Iplant username and add information in SoyKB. Iplant username will be used for data access control for tools such as Jbrowse using Coge and future analysis pipelines access. User analysis jobs section added under the user profile page for easy access to results for jobs submitted for certain SoyKB tools. Function enrichment analysis capacity added under Tools and also in Differential Expression Suite of Tools. Soybean SNP50K array data added to SoyKB. Users can browse this data for multiple PI lines under SNP search. RNAseq Dataset4 and Epigenomics dataset for 4 genotypes PAMP treatment conditions now available for public access. eFP Browser for transcriptomics expression data visualization coming soon. SoyKB website hosting migrating to IPlant infrastructure. No changes to website URL for users. New soybean gene models incorporated from V9.0 on Phytozome. Mutant Finder Tool added to identify mutants available for a soybean gene in lotus and medicago mutant database. Root and Leaf nutrient conditions expression with ammonia, urea, nitrate and symbiosis added to gene card and differential expression analysis. RNA-seq data added for flooding and drought susceptible and tolerant soybean lines for Nguyen lab access. RNA-seq data added for hormone treatments for soybean lines for Nguyen lab access. Heat stress timepoints metabolomics data added to metabolite card pages and differential expression analysis for root hair and stripped roots. SNPViz tool added for visualizing SNP and GBS data using phylogeny trees. Proteomics data for heat stress time points added for root hair and stripped root for private access for Stacey lab. Detailed user manual added for SoyKB users under Help menu. Forrest vs Williams82 SNP data added to Chromosome Visualizer. Cultivar names added for 31 BGI datasets on SNP card, Chromosome Visualizer and Data source pages. Users can now select GmComposite2003 or GmConsensus40 genetic maps option for viewing in In Silico Breeding Program and trait card pages. GBS resequencing data for 25 soybean lines added for Nguyen lab access. Users option to save gene and metabolite expression charts as images added. Differential expression analysis tool added which provided access to gene lists, Venn diagrams, Volcano plots, Function and Pathway analysis. mirna information added on gene card pages. Traits information added on PI card pages. List of PIs for a specific trait added on trait card pages. Download option added for batch Affymetrix probe ID search. Users can request membership to available groups for data sharing and viewing access. NGS raw read sequencing data for Magellan and PI438489B 250 population added for access under Public data link in SoyKB. List of all genes belonging to an individual pathway can now be accessed via Gene pathway viewer link under Tools. View sub-graph feature added to transcriptomics charts for easy viewing. Targeted Sequence Selection tool added to SoyKB for extracting genomic sequence for a user specified list of SNP positions and selected +/- nucleotide bp range. Insertion and Deletion searches added on SNP card pages. Users can upload any PDB file and visualize 3D protein structure in SoyKB. Multiple datasets for miRNA and PARE library target gene validation added for Stacey lab private access. QTL and trait data for Nguyen lab added for private access. Summary details added for In Silico Breeding Program tools. Circos circular genome visualization tool added. SNP data added for 41 NAM parents for Bilyeu lab for private access. Upstream 500, 1000 and 2000 nucleotide sequences added to gene card page for all genes. SCN condition microarray and rna-seq datasets added for Mitchum lab. Homologous genes from other species like Arabidopsis, Medicago, Lotus, Sorghum and others added on gene card page. Gene search feature added to Chromosome Visualizer tool. miRNA search by sequence and small RNA data added to SoyKB. Datasets selection option added to download data page for omics experiments. Methods selection option added to Phylogeny. Gene Ontology and EC functions added to gene cards page. Deleting groups and group memberships option added to SoyKB. Multiple Affymetrix microarray, cDNA array, Oligo array and RNA-seq transcriptomics experimental conditions samples from Dr. Steve Clough's lab added to SoyKB. Multiple Sequence Alignment and Phylogeny Tree tools added. Heatmaps, Scatter plots and Hierarchial Clustering tools added for experimental data. User registration system upgraded with new feature to create groups, invite members and data sharing data based on group memberships added to SoyKB. Epigenomics data added for 4 genotypes in PAMP treatment conditions for private access. Fast Neutron Mutant data added for private access. Protein BioViewer for amino acid characteristics, domains and secondary structure visualization. Batch sequence similarity search using Blast added. In Silico Breeding Program for PI, QTL and Traits information added under "Browse" navigation menu. PI and Trait card search added on the navigation menu under "Search". PI and Trait card search added to the "Quick Search" dropdown menu. Gene card pages updated with QTL information. SNP card pages updated with QTL information. 52 new transcriptomics conditions data added for private access. Gene Ontology and EC annotations added. Phosphorylation data for soybean added for public access. Added mirna search by target gene names. Added affy probe search by gene names. Chromosome Visualizer tool added for integration of QTL, Traits, SNPs and Insertion/Deletion data for breeders. GWAS SNPs, Insertion and Deletion data added for 31 soybean genotypes from BGI to Chromosome Visualizer and SNPs Search. G. Soja SNPs, Invertion and Deletion data added to Chromosome Visualizer and SNPs Search. SoyKB Manuscript published in BMC Genomics and added to Citations. Trupti Joshi, Kapil Patil, Michael R. Fitzpatrick, Levi D. Franklin, Jeffrey R. Cook, Qiuming Yao, Zheng Wang, Marc Libault, Laurent Brechenmacher, Babu Valliyodan, Xiaolei Wu, Jianlin Cheng, Gary Stacey, Henry Nguyen and Dong Xu. Soybean Knowledge Base (SoyKB): A Web Resource for Soybean Translational Genomics. BMC Genomics 2012, 13(Suppl 1):S15. Blast sequence similarity search tool added. Motif sampler tool added for motif prediction and allows creating web logo. Extract genome sequence using chr# and start and end coordinates. miRNA mapped to mirBASE database and miRNA family information available. Protein 3D structure PDB files links added for download on 3D structure viewer. Download data now allows all 3 domain information option. Microarray data submission for MAS5 format. Alternative splice variant information added on Gene card page. Overlapping gene information added to the SNP card page. Overlapping SNP information added to the gene card page. Data sources information page added under Information. Search by chr# and coordinates added for Gene searches. Correlation coefficient calculations and pie chart analysis added for multiple gene searches. Quick search feature added for easy access on Home page. Experiment browser feature to allow users to access data for all genes based on an experiment types and dataset. Feature to download sequences and experimental datasets for a list of genes. Feature to allow users to submit gene family, functional annotation and experimental data information to be added to SoyKB. New tracks for experimental data to be added to Genome Browser. Breeder Toolbox for pedigree and traits linking. 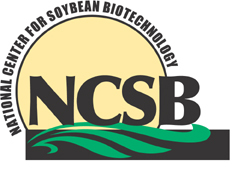 SoyKB to be linked to and from other soybean databases such as SoyBase, to allow users seamless navigation between the websites. 2 SNP datasets to be added for private access. Multiple gene searches for cross comparison across a set of genes. EST, Full length cDNA and 5’ RATE sequence based evidence datasets added for private access. Transcriptomics dataset with 14 conditions added for public access. Proteomics dataset with 5 conditions coming soon for public access. Gene pathway viewer added to SoyKB. Soybean gene family information added to SoyKB and available for complete gene family searches. Microarray dataset with 25 tissue conditions and 99 stress conditions added for public access. New subgraph graphical viewing functiopnality developed to allow users to focus on related experimental conditions in microarray, transcriptomics and proteomics datasets. Protein 3D structure viewer added. Currently development to integrate experimental data for EST Evidence, Microarray and Proteomics is in progress. Proteomics dataset with 4 conditions (Roots Control , Roots Disease , Hair Control , Hair Disease ) and 156 replications added for private access. Transcriptomics dataset with 14 conditions added for private access. Microarray dataset with 7 conditions including leaf and root tissues and time points added for private access. Dynamic search capacity for literature and reference extraction added. SoyKB.org domain registered and linked to the final website. Metabolite card information pages incorporated along with the metabolite pathway viewer tool. Gene cards information pages setup with gene model, sequence and functional details. miRNA card information pages now available. SoyKB website concept and architecture drafted.